Would you like a bigger backyard with that? As the trend towards subdividing escalates, South Australian families are finding it harder to both find and afford a block big enough to build their dream family home. Looking for value for money, many homebuyers are heading to the Hills where brand new land developments can offer larger lots for a more affordable price. In Mount Barker, many families are finding not only can they afford their dream home here, but the Adelaide Hills is an idyllic place to call home. The trend for modern homes tends to be small and affordable, but by buying land and building your own home in Mount Barker you can get more for your money. This means that you can enjoy a bigger backyard plus design a home just for you. All this and Adelaide is only an easy 30-minute drive away. Upsizing your home is always exciting – and as families grow sometimes smaller homes can feel cramped. Building a brand new home gives you the freedom to design all the details you need – whether it be a study nook for the children, a home office for work, a home gym or cinema or a wine fridge and a rumpus room – when you buy a block of land and build then the savings you can make over buying an existing home can stretch your budget to cover some extra luxuries. A brand new freeway interchange at Mount Barker has eased congestion, making commutes to the city faster. The Bald Hills Road Interchange enjoys direct access to Aston Hills at Mount Barker – making commutes to Adelaide only 30 minutes long. This drive to work is direct and easy – without the stop-start frustrations of metropolitan commutes. More space at home, and all around you! By moving to Mount Barker, not only will you be able to afford a bigger block and enjoy more space at home, but you’ll also be able to enjoy more wide open space all around you! 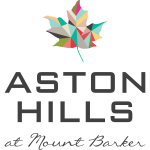 The Adelaide Hills are a beautiful place to live, and Aston Hills and Clover Park have been masterplanned to preserve this unique sense of wide open space and fresh air. With plenty of parks, play spaces and reserves, Aston Hills also boasts its very own golf club plus a dedicated mountain bike track. This sense of space supports a new mindset, and keeping fit and healthy in your new home will be as easy as opening your front door and venturing outside. When choosing to upsize your family home, you will already have a good idea of how a larger floorplan will improve your lifestyle. The best place to start is by visiting display villages, and getting a good idea of which builders you like, what home designs suit your needs and how this larger family home will fit into your budget. Talk to the builders you like, but also do your research. Try and chat with families who have built homes with those builders, and find out what they might do differently if they built again. Most importantly – take your time! Don’t rush into a contract with a builder and make sure you take the time to choose a home design that you love but most importantly will suit your lifestyle. Have you heard the saying ‘buy the worst house in the best street’? It exists because the experts know that location is the key investment underlying your new home. While house values can depreciate as they age – land and its location will be the asset underlying your home that grows the value of your investment. When building your dream home, consider the conveniences close by, the orientation of the block, and how your ideal home design will fit onto the block you like. Land agents are experienced in siting homes and can be a valuable resource when going through this process – most of all they can make the selection of your allotment easier. Chat to an experienced land agent – preparing a list of questions before your appointment can ensure you cover off all the concerns you may have. To chat to a Lanser land agent – you can call Karen on 0452 136 091 who works on our developments in Mount Barker.